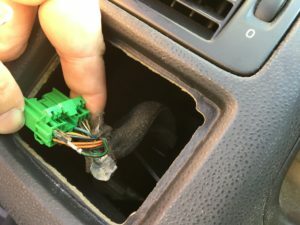 This How-To describes what I will call the “DRL Disarm” (because “DRL Disable” has been used extensively to mean the VIDA software part #30679690) – making it safe to retrofit HIDs in P1 Volvos using the SKBOWE error harness. 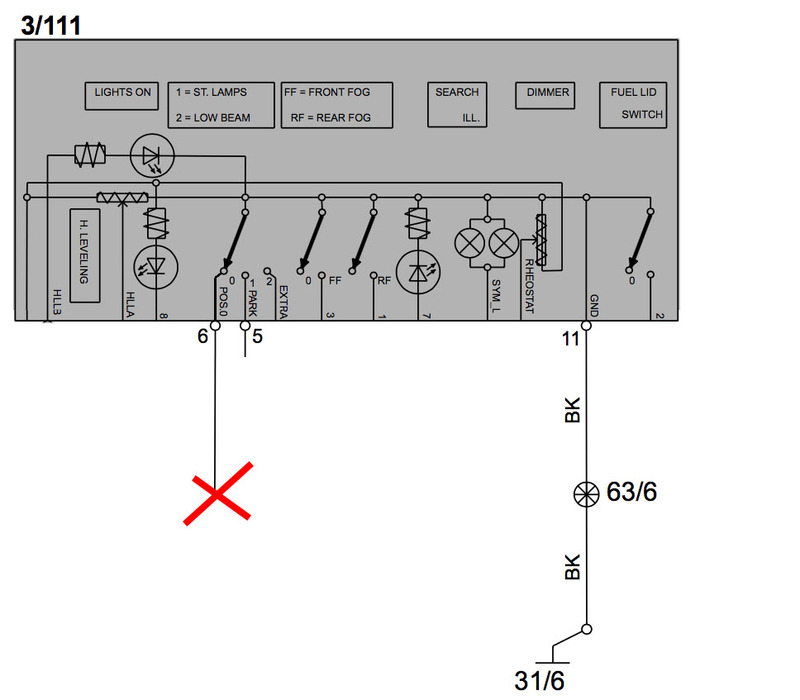 The “Dimmed Low Beam” DRL issue with HID conversions in P1 only occurs with the LSM in Position 0, as shown below, so this mod prevents the CEM from sending low-duty-cycle PWM to the HID ballasts during the day, when the LSM is in Position 0 (“off”), essentially turning Pos 0 into Pos II. It’s free! 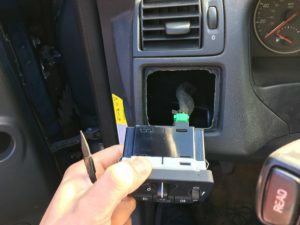 No cost to flash software, or need to explain to dealer, or record with Volvo. 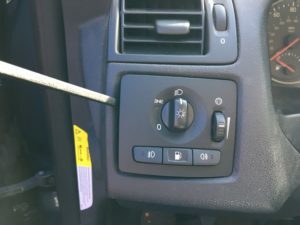 Function compared to stock remains unchanged (low beam still on in Pos0), in regions where DRLs are required, this keeps the functionality intact. Remember, you don’t *have* to do this – the same thing is accomplished by leaving the LSM in PosII all of the time. But it prevents any potential issues if you (or other driver, or shop) forgets to do so. Inside of the LSM, there are two small switches, one for Position 0, and one for Position 1. There is no switch for Position 2 (which is detected when neither 0 or 1 is closed). 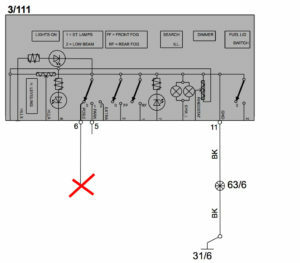 The CEM thinks that the LSM is in Pos0 when Pin 6 of the LSM (black/green wire, and B:2 of the CEM) is connected to ground, so by disconnecting this wire as shown in the diagram below, the CEM will never think the LSM is in Position 0, and the daytime dimmed DRL condition can not occur! 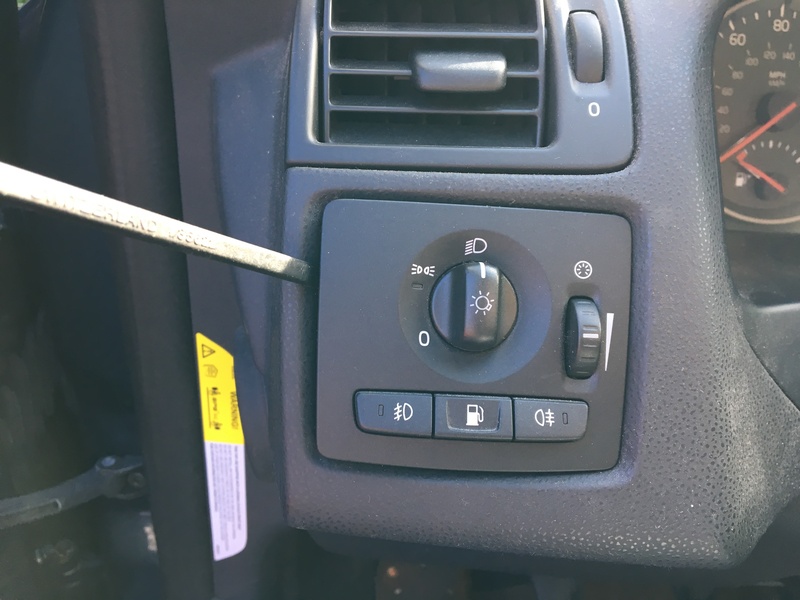 For reference, this is the LSM in position “0”, when DRLs are activated on cars with the CEM program installed. By removing LSM pin 6 (shown by red X above) the CEM will never think the LSM is in Position 0. You could cut this wire and be done in 10 seconds, but this can be done reversibly in about 5 minutes. Either way, it’s simple, effective, and free! 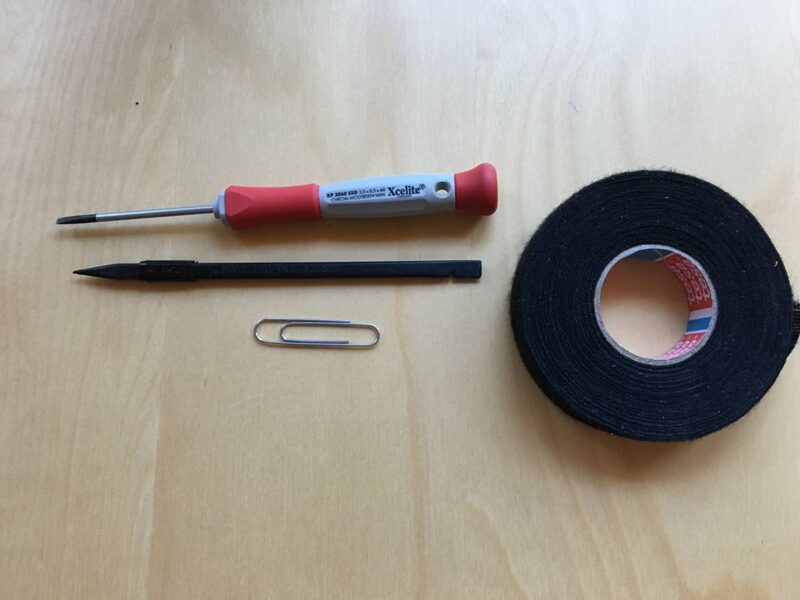 Step 1: Gather Tools / Materials. Easy! 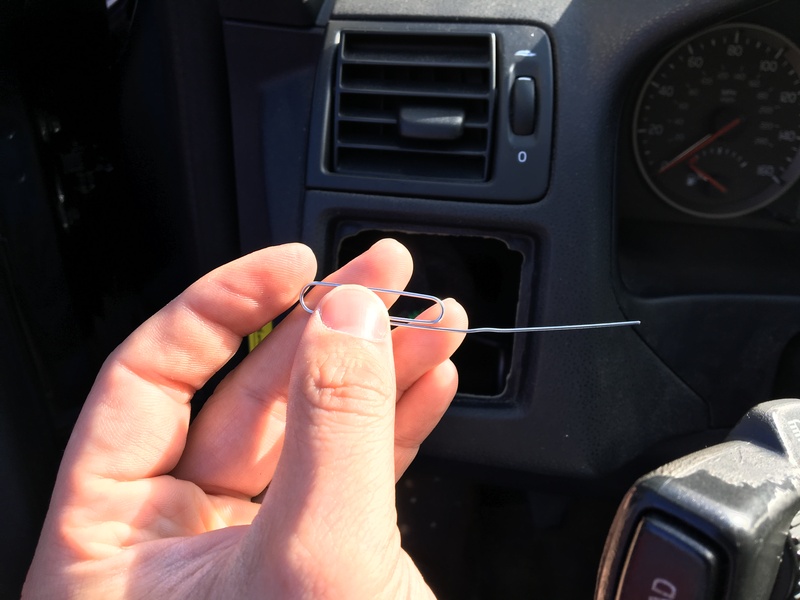 Large paperclip, or other similar size stiff wire. You could probably use a small/normal size paper clip, but the large ones are exactly the right size to release the pins. 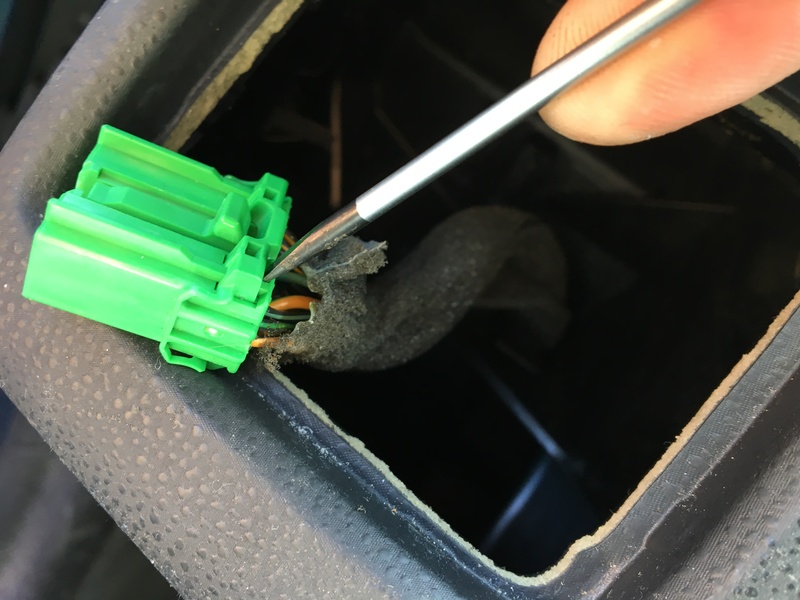 (Optional) Electrical Tape will to secure the removed pin. Step 2: Remove the LSM. This is easiest using a non-marring spudger, but if you don’t have one: Grab the door-facing panel inside the jamb by the air grate and pull out, then push the LSM out from the backside. 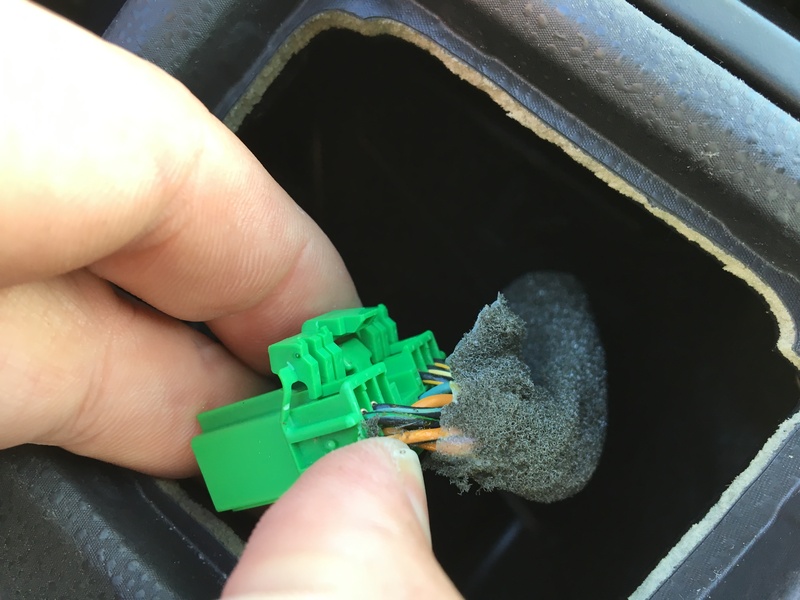 Once it’s free, disconnect the electrical connector. Remove LSM using spudger. Alternately, pull out the cover to the side of it and push it out from the back. 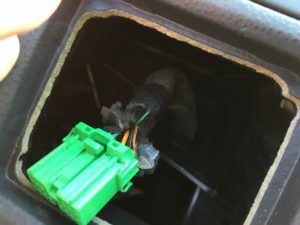 Once free, remove the LSM and disconnect the electrical connector. Step 3: Identify Pin 6. It’s the black/green wire as shown below. Step 4: Unlock Pin Retainer Clip. Careful as to not break it off, slowly pry up the pin retainer clip. It swings up and out. I find a small flat-head screwdriver works well for this. To unlock the retainer clip, insert screwdriver as shown and carefully pry up. Retainer clip disengaged. The little plastic tabs are a backup mechanism hold the pins in place. 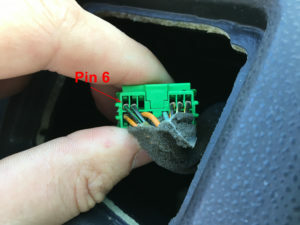 Step 5: Remove Pin 6 from the connector. This is super easy once you get the hang of it, but if it’s your first time, it can be a little tricky. Unfold the paperclip and insert it into the upper hole above pin 6. It will slide in easy at first, then there will be some resistance – keep pushing until it gets firm. Then, keep slight inward pressure with one hand, while pulling the wire out with the other. If lined up right, the wire+pin should come right out. 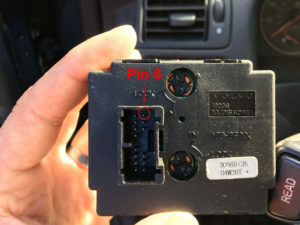 Insert paperclip into the remover slot for Pin 6 (click for bigger). 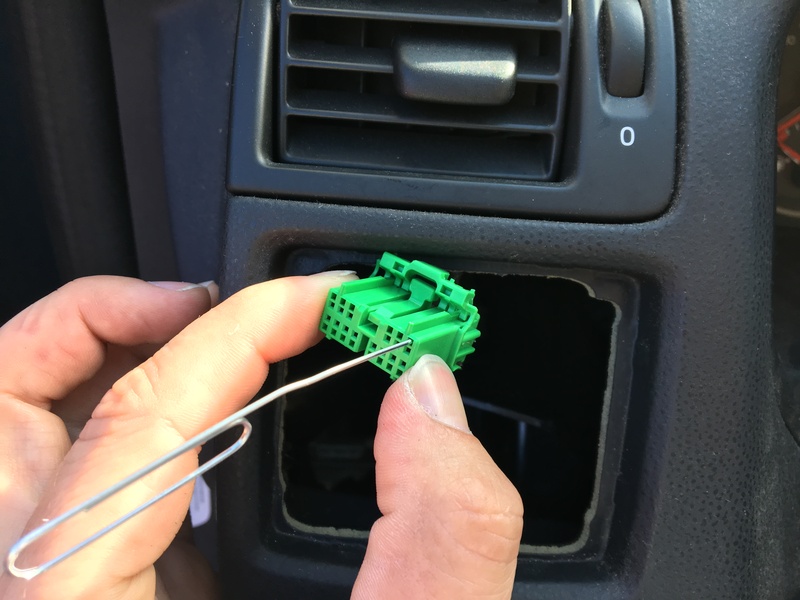 If you can not easily pull the wire out, remove and re-insert the paperclip, maybe wiggle a little bit. The pin should come out with very little force at all. If you pull too hard, it will break the primary retainer plastic and you won’t be able to re-install the pin later. Step 6: Remove and Secure Pin 6. Once the pin is out (left) replace the retainer clip by pressing it back down gently into the connector. Use some tape (right) to hold the loose pin out of the way. Pin 6 halfway out of the connector. After pulling it all the way out, press the retainer clip back down gently into the connector. Tape the loose wire to the harness so it looks like nothing ever happened! Step 7: Installation is reverse of removal… It’s now safe to run HIDs with SKBOWE in any LSM position! 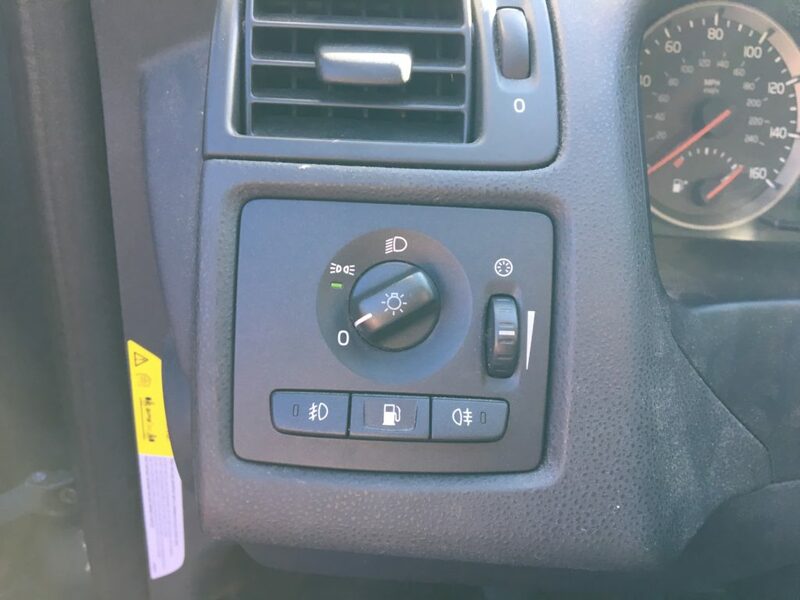 The low-beams will turn on in Position 0 and Position II. 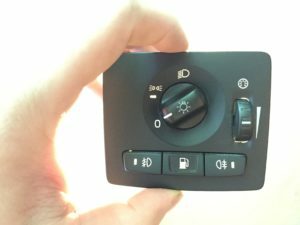 Reinstall LSM, ensure that the lights come on in 0 and II.